It's that time of year once again.. with Christmas present pressure upon us all buying presents can be a chore. Choosing gifts for your nearest and dearest can be one of the most difficult things. What would they like or want? Should you just buy a gift card? 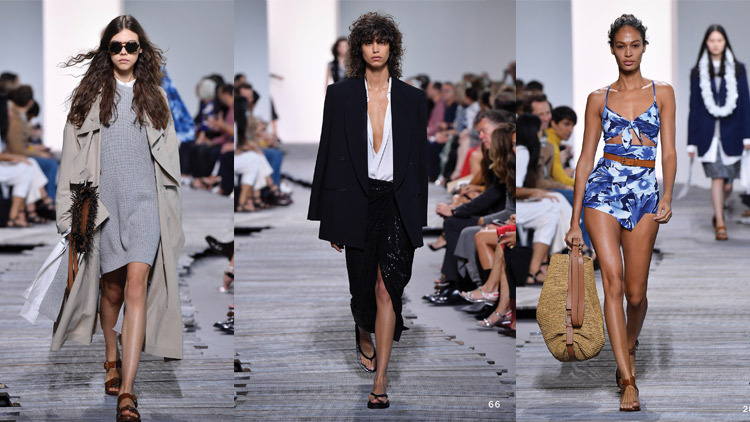 Well, to make things a little bit easier, I've done the hard work for you to show you the best of the fashion world's must haves for the festive season. 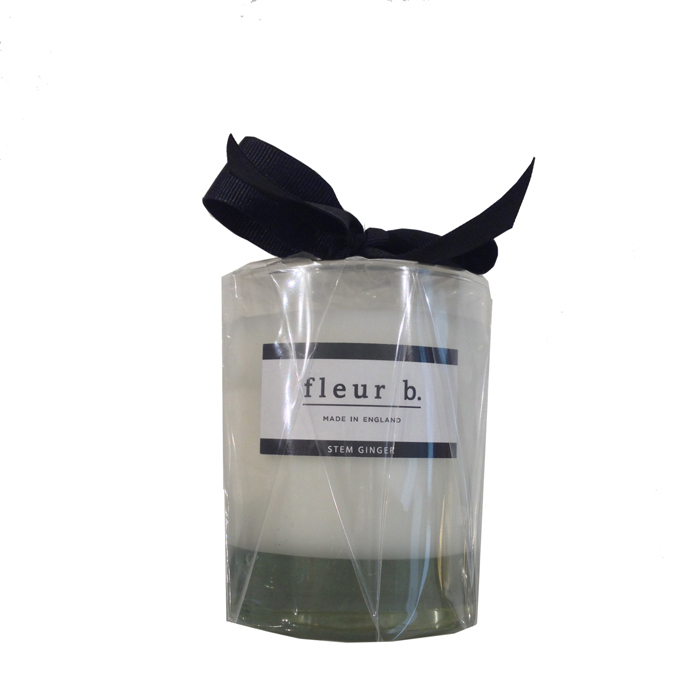 10 – fleur b candle £25.00 : Combining a harmonious selection of gorgeous fragrances to bring you indulgent relaxation and ultimate bliss. The candle's delicious fragrance creates a wonderful mood and beautiful fragrance throughout your home. The perfect stocking filler this Christmas. 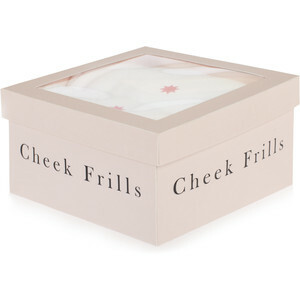 9 – Cheek Frills £70.00 : Made from 100% Italian cotton modal and lace, colourful knickers and bras come in ‘Days of the Week’ or ‘Weekender’ singles and sets. Presented in pastel, Ladurée macaroon-like boxes, Cheek Frills are a pop of colour for your underwear drawer that would also make delightful gift-worthy treats for every on-the-go girl. 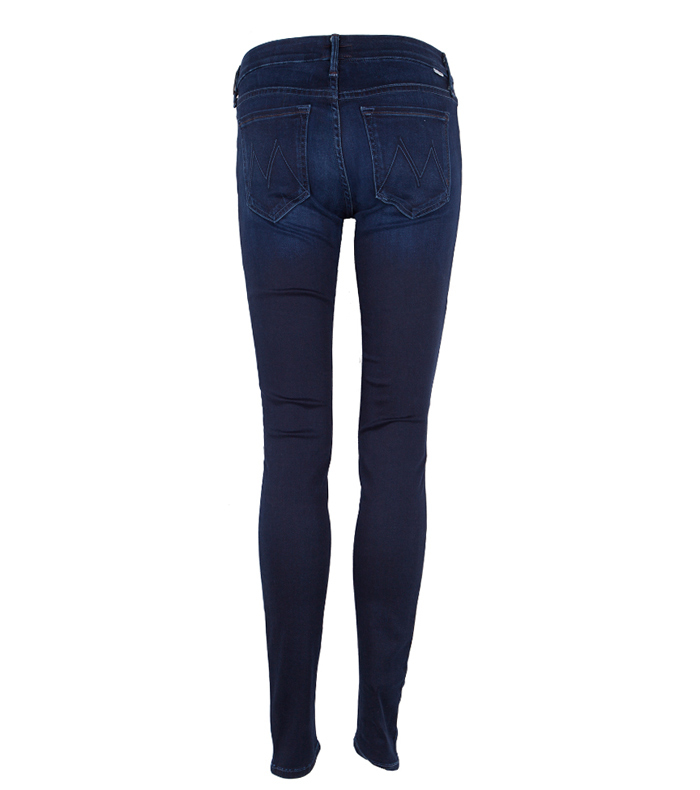 8 – Mother Denim Jeans £210.00 : Super soft skinny jeans by Mother Denim in a Body Electric blue colour. A classic wardrobe essential, perfect fit to dress up or down. Simply pair with a white tee for everyday wear or with a pair of heels for evening wear. 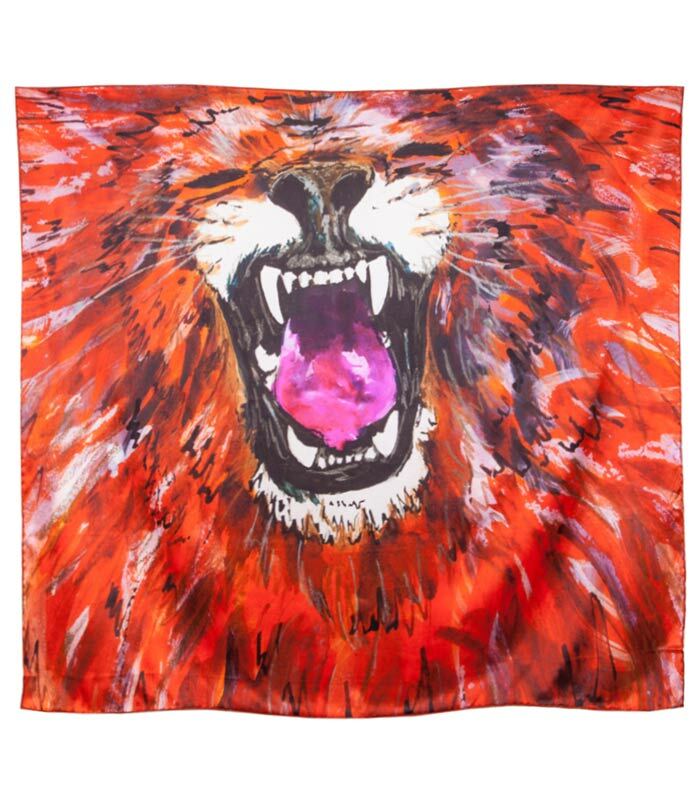 7 – Anna Katharine Lion Silk Scarf £150.00 : Luxurious hand-painted scarf featuring a roaring lion digitally printed onto 100% pure silk. The perfect statement accessory to brighten up your everyday outfit. 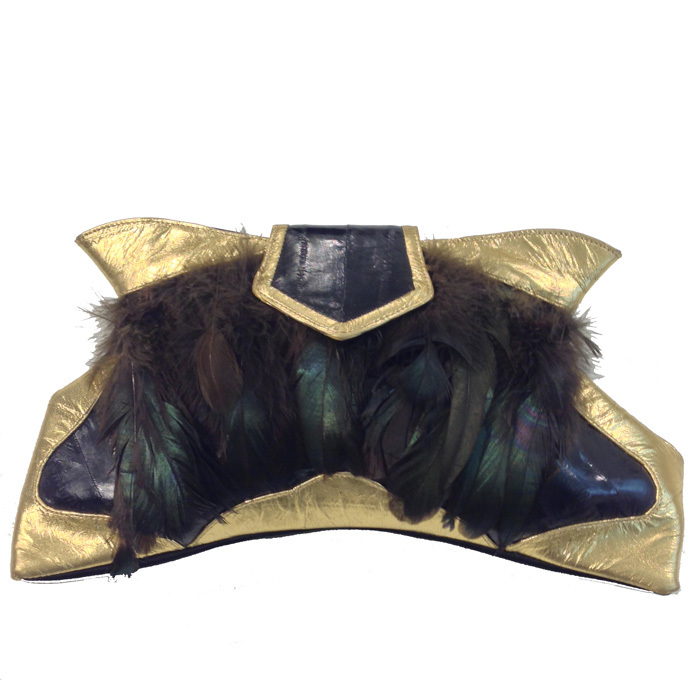 6 – Clutch Bag by SaSu London £199.00 : A striking clutch features a leather metallic gold and feather exterior, this is a statement piece that is ideal for the party season. 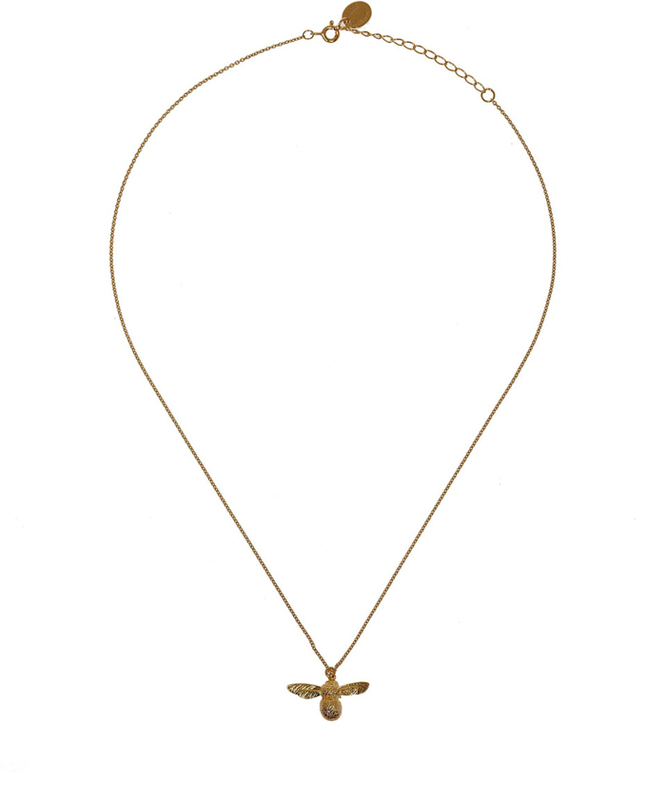 5 – Alex Monroe Baby Bee Necklace £130.00 : Established in 1986, jewellery designer Alex Monroe has always been inspired by nature and the outdoors. The bumblebee necklace is his signature piece and started with the idea of original sin, pain and pleasure. In the 1525 painting ‘Cupid complaining to Venus’ by Lucas Cranach, Cupid was depicted complaining to Venus about getting stung after stealing some honeycomb. The perfect finish to any outfit. 4 – Cashmere Luther Crew Neck. 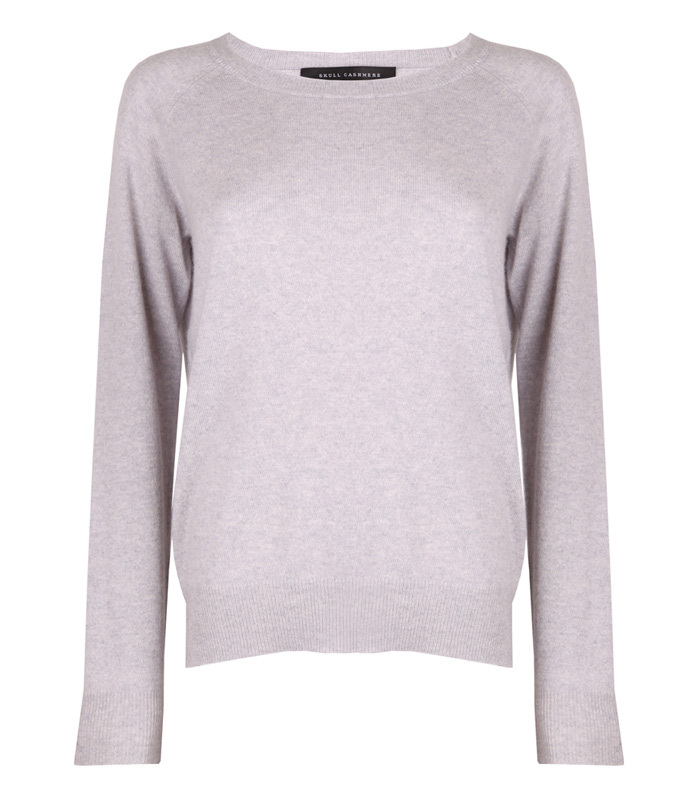 £250.00 by 360 Sweater : Beautifully soft cashmere sweater by 360Sweater in powder grey. 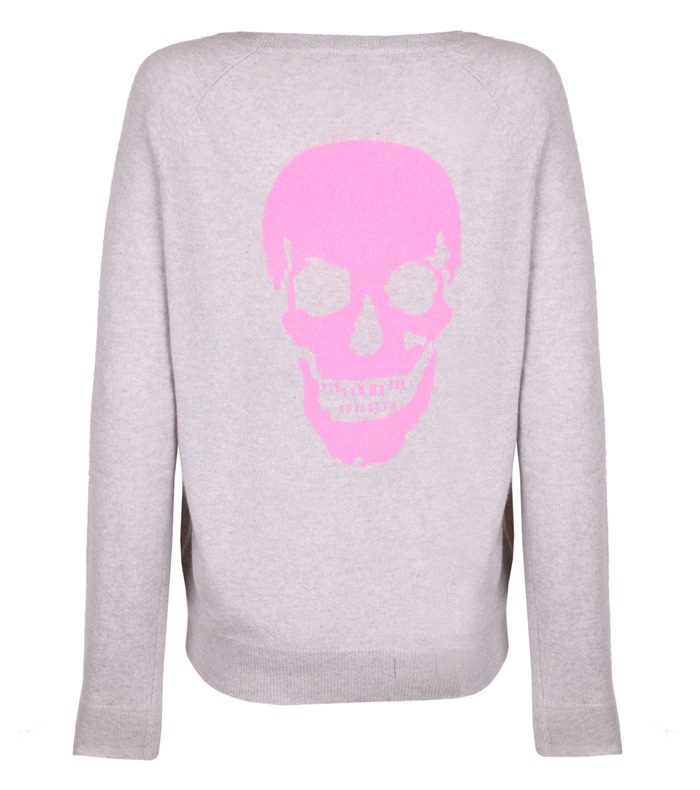 With a round crew neck, long sleeves & primrose pink skull print on the back. 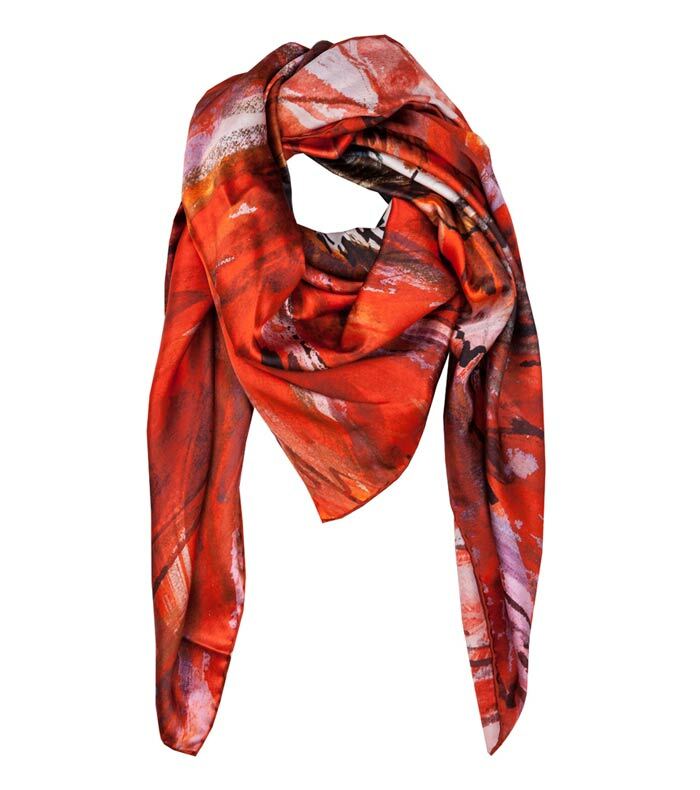 Pair this with skinny jeans for everyday comfort & accessories with a statement necklace for a night out. 3 – fleur b. Leather Trousers £550.00 : A new edition to our fleur b. collection, the black leather trouser is a classic wardrobe staple that can redefine your look instantly. Made in a luxurious soft genuine leather, a skinny fit, with elasticated waist for ease. 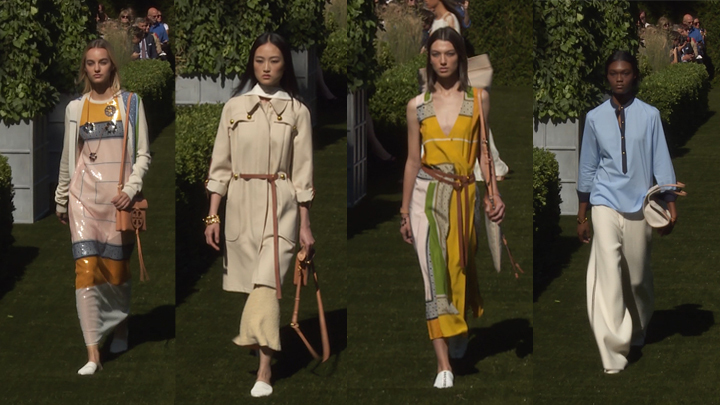 Wear this style with your favourite ankle boot for an everyday stylish look. 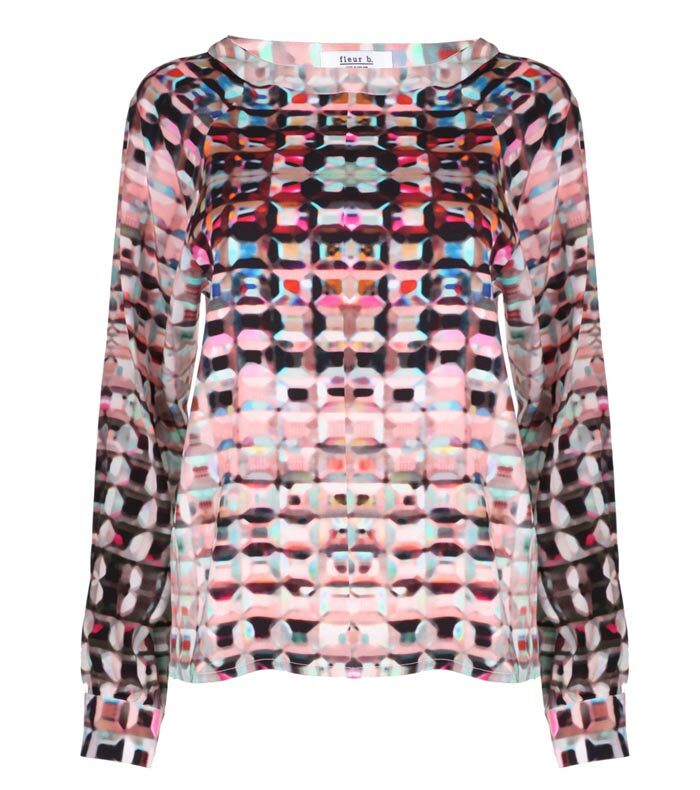 2 – fleur b. Gem Print Top £245.00 : A unique and exclusive to fleur b. Gem Print features on this easy to wear top. 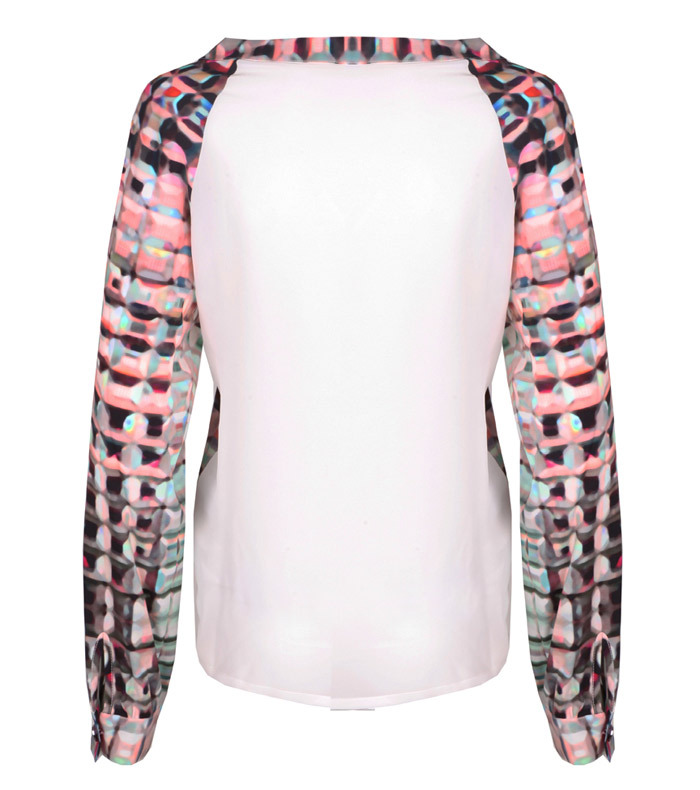 Featuring the gem print on the front and sleeves with a plain white back for a contemporary look. Pair with fleur b. leather trousers for an evening out or with navy pants for everyday comfort. 1 – Ellie Lines Ellie Dress £975.00 : The Ellie Maxi Dress features the beautiful all-over exclusive Shine Print. Made of 100% luxurious silk, this is the perfect statement dress for special occasions.